Chief Mickuleit has been a full-time member of the Matlacha/ Pine Island Fire Control District since September 2004 when he was hired as a firefighter. Chief Mickuleit has an Associate's Degree in Fire Science and a Bachelor's Degree in Public Safety Administration to accompany his various other field-related certifications. In addition, he has completed his Master's Degree in Organizational Leadership/ Fire Rescue Executive Leadership. He is a proud husband and father. He and his wife have three young daughters keeping them busy at home. Shawn started his career as a firefighter at Immokalee Fire Department in November 1999. As a young boy, his dad always brought him to Matlacha to go fishing. So, it wasn’t surprising that when a position opened up at the Matlacha/Pine Island Fire Department, he immediately applied. He was hired in November 2000 as a firefighter. Eventually, he became an Engineer to most recently, Deputy Chief. 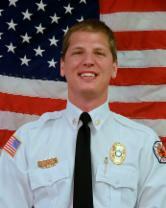 Shawn has his Associates Degree in Fire Science and a Bachelor’s Degree in Emergency Management. He is also a certified Fire Inspector, Fire Investigator, Fire Instructor, along with many more fire related certifications. Shawn is happily married to his high school sweetheart and is the proud father of a teenage son. 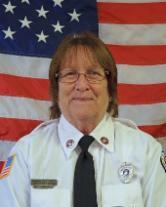 Administrative Assistant Richter moved to Pine Island in 1979 and has been with the Matlacha/Pine Island Fire Control District since January 1992. Mrs. Richter has an Associate’s in Science Degree. Mrs. Richter is married, has three children, and one granddaughter and one grandson. Fire Inspector Urich is very enthusiastic to be working with the Matlacha/Pine Island Fire Control District. 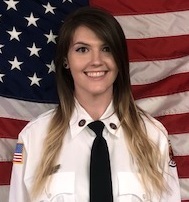 She is anticipating working with our community and is looking forward to getting to know everyone. C. Urich has an Associate in Arts degree, and is working towards her Bachelor's degree. Fire Inspector Urich is happily engaged, and avid animal lover and enjoys watching baseball.